The simple one-piece design makes this an ideal coffee maker to bring on your next trip. 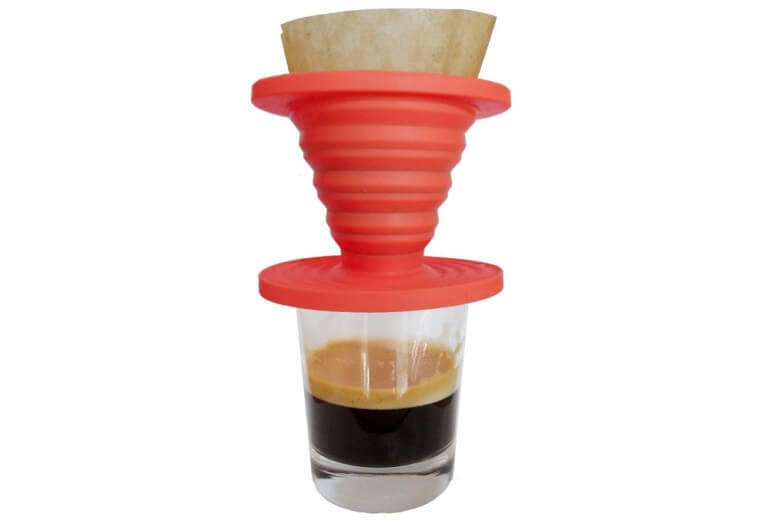 The SlickDrip coffee maker from Kuissential (previously spelled as Cuissential) is a portable pour over coffee maker. 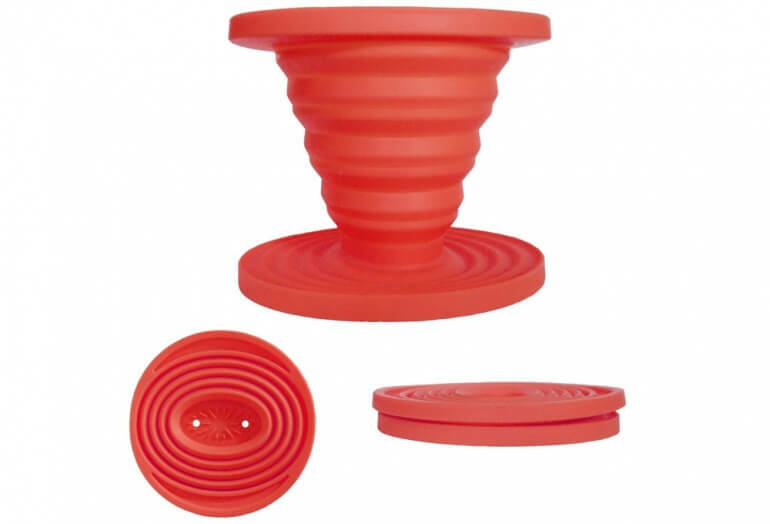 Made of silicone, this pour over brewer expands to sit on top of your cup as you brew. Simply place a #4 or #2 coffee filter in the brewer and pour hot water over. Unlike similar plastic based brewers, the silicone material doesn't transfer any chemicals or bad tastes to your coffee. The result is a delicious, clean cup of coffee. This highly rated coffee maker collapses into a roughly 1 inch tall, 5 inch diameter disk when not in use. For a pour over brewer with a case, check out the GSI collapsible unit.